I see that there is a flurry of possibly good news today! MuffyBee, how can I help you with posting the tweets? Which one/ones? Will the grand jury that is currently convening afford the green light that will imply that indictments in the Holly Bobo case will be forthcoming. Yay-yus!! I was hoping you would join in. I've been posting some that have more activity and etc., so you can choose from those, or of course if you have other favs... I have a list I've been checking. Nevermind....grace-land is already burning up keyboard. Still researching by I think my statement about 12 jurors on a Grand Jury is wrong. Let's hope today's activities bring justice for Holly! TOY, I saw something about the number of jurors on a GJ in a tweet. I think I also read somewhere there was a pool of 22 plus some other number of alternates. Gosh, so much all at once. I hope so too, grace-land. April 13, 2011 – Holly Bobo is reported as missing. May 4, 2011 – Bobo family publicly thanks everyone for the help that have gotten from across the region. May 6, 2011 – A 15-year-old Lexington girl faces criminal charges after telling police she was kidnapped at gunpoint and brought to Jackson. July 12, 2011 -- Large, color decals featuring a picture of Holly, without makeup, go on sale for drivers of large trucks to purchase. November 4, 2011 -- Decatur County Sheriff asks deer hunters for help to find Holly Bobo. February 13, 2012 -- In wake of Bobo being missing for one year, students and faculty at Riverside High School organize event to learn how to protect their privacy on social networking sites. February 19, 2012 -- Holly Bobo's mother has tells investigators that the purse found near the site of her daughter's disappearance was not Holly's. May 1, 2012 – Holly’s brother, the only witness to his sister's abduction, says he has endured police interrogations, has been strip searched and has received death threats. May 16, 2012 -- Family petitions Governor Haslam and the Tennessee State Legislature to re-focus its efforts and resources to find all of the missing persons in Tennessee. May 17, 2012 – TBI says non-profit organization “Without Warning” did not investigate the case of Holly Bobo, despite WSMV airing several stories during newscasts as well as a special documentary. June 12, 2012 -- An Indiana man has been arrested and accused of trying to frame a police officer from North Webster, Ind., in the Bobo’s alleged abduction. December 16, 2013 -- Bobo family offers $250,000 for information leading to an arrest and changing of a suspect. February 28, 2014 -- Search warrant for Zach Adams executed in Holladay, Tenn.
February 28, 2014 -- The director of the TBI addresses the media about recent searches executed in connection to the search for Bobo. February 28, 2014 -- Shelby County Sheriff's Office confirms that they have sent a cadaver dog to assist with search efforts going in connection to the Bobo case. February 28, 2014 -- Zach Adams in jail on an aggravated assault charge, and according to the DCSO, might have more charges pending. February 28, 2014 -- Benton County Sheriff confirms that Zach Adams was booked and released on drug related charges within the last two weeks. March 1, 2014 -- Bobo's home community joins to pray for the Bobo’s return and answers in her case. March 3, 2014 – Adams appears in court and is formally charged with aggravated assault. He is accused of holding a revolver to a woman's head and threatening to kill her on Feb. 6. He is also accused of pulling a knife on her and threatening to "gut" her. Adams is ordered to be held on a $1,000,000 bond. March 4, 2014 – Copy of Zach Adams' previous arrest record in Decatur County is released, includes 14 arrests with 24 charges over a span of eight years - including various drug charges and aggravated assault. 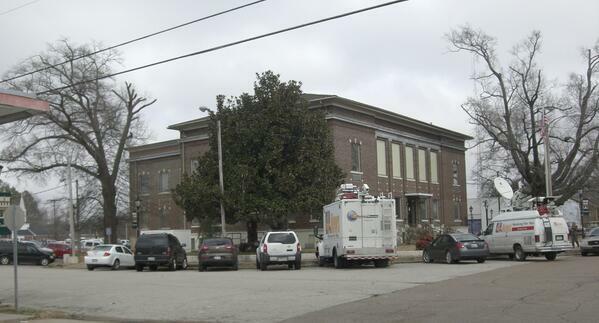 DECATURVILLE, Tenn. – NewsChannel 5 has learned that charges are expected to be filed Wednesday in connection with the Holly Bobo case. The nursing student disappeared from her family's home in Decatur County in 2011. A special meeting of the grand jury was convened at 1 p.m. Ten grand jury members along with two alternates were called early Wednesday morning about the special meeting. The judge called the meeting extremely rare, saying he had been petitioned by the District Attorney to call the Grand Jury back into session. He added that the jurors would not be told what they were investigating before the meeting was adjourned. He also explained that the grand jury must decide whether there is sufficient evidence or probable cause to bring charges. It was not immediately known who would be charged in connection with the case. If indictment is returned an arraignment will take place next Tuesday at 1 pm. Bring Holly Bobo home safe shared a link. Don't know what today will bring.. but I have to say these two stories really stood out to me. Thanks for sharing. #HollyBobo news conference moved from courthouse to Sheriff's Office to accommodate media descending on #Decaturville. Family priest says #HollyBobo parents not planning on attending this afternoon's news conference. Described mood there as "prayerful"
"We are just praying right now." Family priest with #HollyBobo family just told me. "We don't know any more then you do." #CONFIRMED: District Attorney in #HollyBobo case requested grand jury meeting over the wknd. Extra jurors called in. Headed to Decaturville, TN for #HollyBobo press conference at 4. #Confirmed: Grand Jury meeting now to consider evidence. Page created in 5.255 seconds with 20 queries.